Ok boys and girls, tomorrow is Krol Fest....its finally here!!! The festivities begin at high noon and the weather man said its going to be gorgeous! 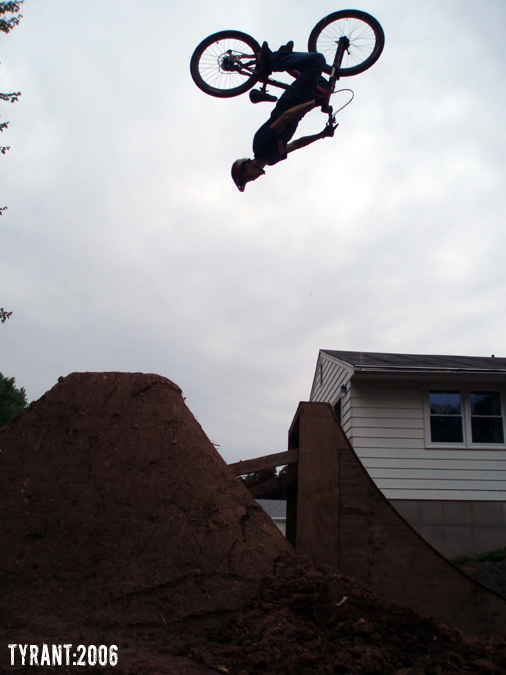 Get on your bike and come shred the radest back yard set-up in CT!!! PLEASE NOTE: There is limited parking so all of you coming please try to car pool. Be sure to bring some spending money, there will plenty of cool stuff to purchase! Matt Lolli designed a rad "Krol Fest" t-shirt and they will be for sale. Tyrant BMX goods will also be available out of the trunk of my car, look for the red TYRANT BMX Carolla. The first jump of the set. Bring your balls, its burly!!! The Good and the bad!!! !